Washington, D.C. | www.adc.org | November 29, 2018 -Today marks the United Nations (UN) International Day of Solidarity with the Palestinian People. Seventy years following dispossession in 1948, Palestine remains an international symbol for all people who are working to achieve equality, self-determination, and justice. ADC takes this opportunity to celebrate the growing support for Palestinian human rights and the increasing solidarity with the Palestinian people in the U.S.
On November 29, 1947, the United Nations General Assembly passed UN Resolution 181, calling for the partition of Palestine and denying Palestinians the majority of their land. Less than a year later (May 1948), the Palestinian Nakbah (Catastrophe) forced 75% of the Palestinian people into exile and caused the loss of 78% of their land. 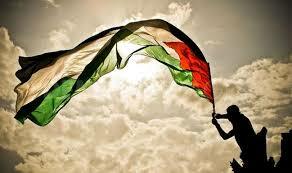 To this day, Palestinian refugees remain one of the largest and long-standing refugee populations in the world. The UN established the International Day of Solidarity in 1979 to bring global awareness to the fact that Palestinians still remain under occupation and in exile. Examining the progression of the U.S. narrative on Palestine over the last decade, ADC sees an increase of support for Palestinian human rights. The political discourse in the U.S. is evolving to mirror the international consensus on Palestine. ADC is gratified that Palestine today is increasingly becoming a key component in some of the U.S. progressive and civil rights movements.Connections are rightfully made between separation walls, the movement of refugees, and indiscriminate state violence, drawing on the intersectional struggles between the Palestinian people and marginalized communities in the U.S. As one example, the targeted attacks against immigrant women, children, and families on the U.S.-Mexico border called for comparison with the Israel’s targeting of unarmed civilians in Palestine. Additionally, we are witnessing U.S. political leaders take legislative actions to protect Palestinian human rights. In November 2017, the first congressional bill in support of Palestinian human rights, Promoting Human Rights by Ending Israeli Military Detention of Palestinian Children Act, H.R. 4391, was introduced by Congresswoman Betty McCollum. There are currently thirty congressional co-sponsors that have signed onto the proposed legislation. The inclusion of Palestine in The Movement 4 Black Lives national platform and the widespread support of solidarity activities in academic, religious, labor, and civil rights organizations and institutions mark a welcomed surge in the stand for justice and the respect for international law for the Palestinian people. While we celebrate the important progress of Palestinian human rights work in the U.S., we know too well that there are still vast barriers that we must overcome. In Congress, the majority of members either remain silent on Palestinian human rights violations or support legislation targeting the Palestinian people. One of the many pieces of legislation recently introduced is H.R. 6451, which attempts to erase Palestinian refugee rights through redefining who a Palestinian refugee is and cuts U.S. aid to UNRWA. The Trump administration’s discriminatory decisions, which include illegally moving the U.S. Embassy to Jerusalem, cutting U.S. aid to UNRWA, and shutting down the P.L.O. Delegation in D.C., only further embolden the most right-wing tendencies that oppose Palestinian human rights in the U.S. The growing solidarity between civil rights organizations in the U.S. and Palestinian human rights movements is vital to overcome these challenges. ADC values and embraces the intersectional partnerships between U.S. civil rights and Palestinian human rights movements. We are inspired to see the growth in the number of civil society organizations and U.S. political leaders who advocate for and support Palestinian human rights. ADC is proud to stand in solidarity with civil and human rights organizations to support the Palestinian people to achieve their internationally-enshrined legal rights.